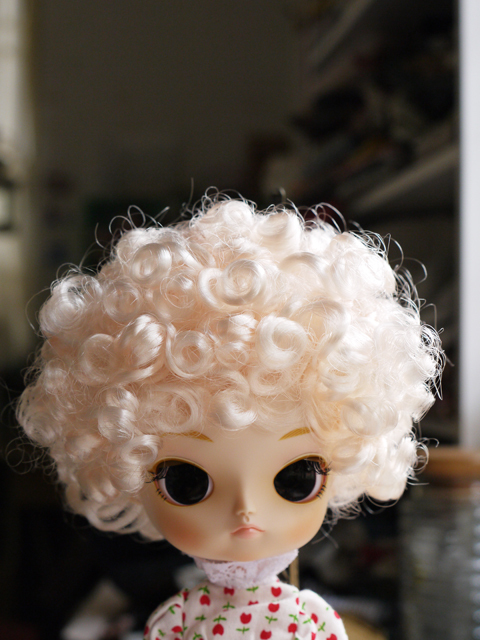 Her hair are the main reason I bought her, I see a Marilyn Monroe in her. 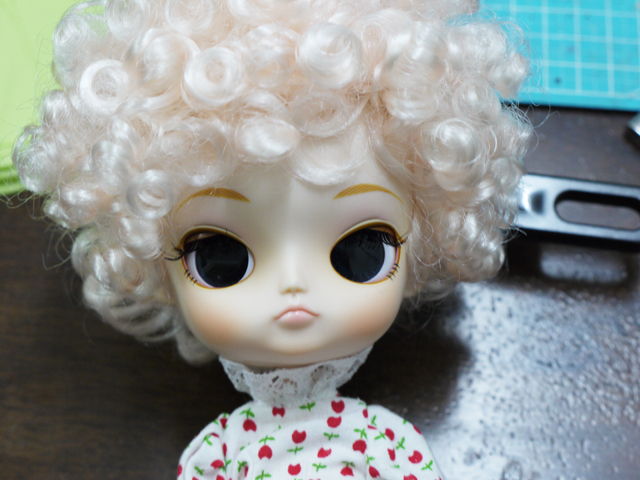 I didn't like the eye at all, so I change the eye chips and trim her hair a little. 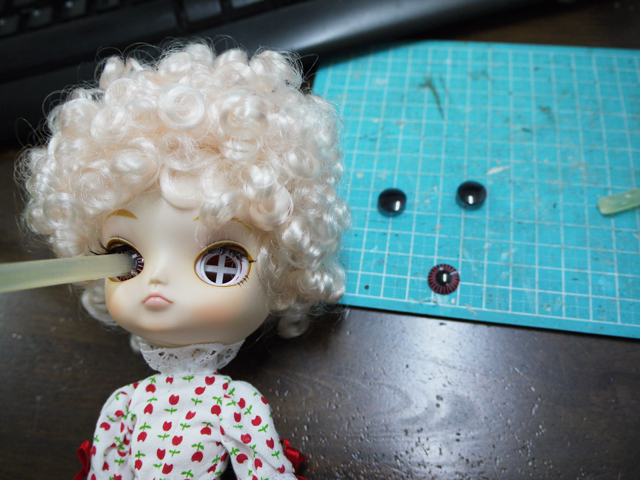 This is the method I learn from youtube, I saw people changing Blythe's eye chip by using the hot glue stick, I think it could apply on Dal dolls too, just you need to adjust their eye in the right place. 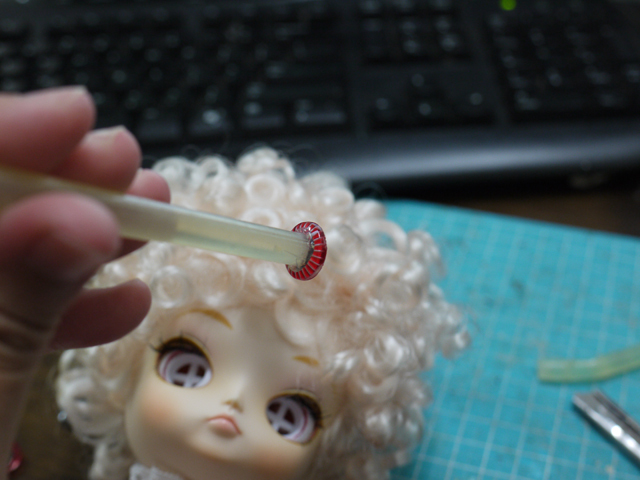 heat the glue gun and melt the peak of the glue stick, push it to the center of the eye chip, hold it for a little while and wait for the glue stick to affixed on the chip. do the same for both eyes, wait a little while longer, let the stick to cool down so it is affixed firmly to the eye chips. she's beautiful! 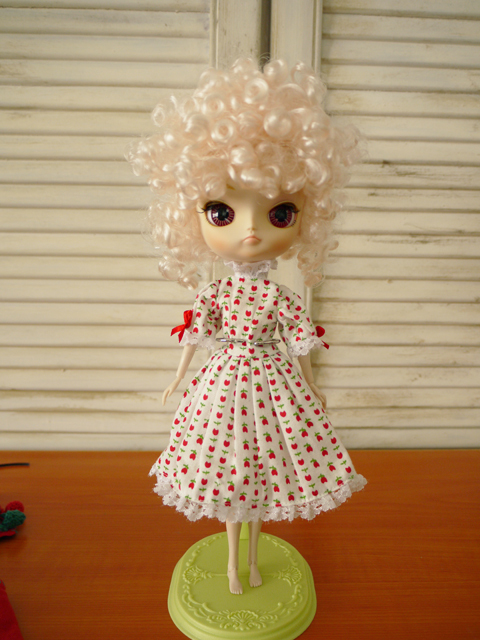 and i'm loving the dress! 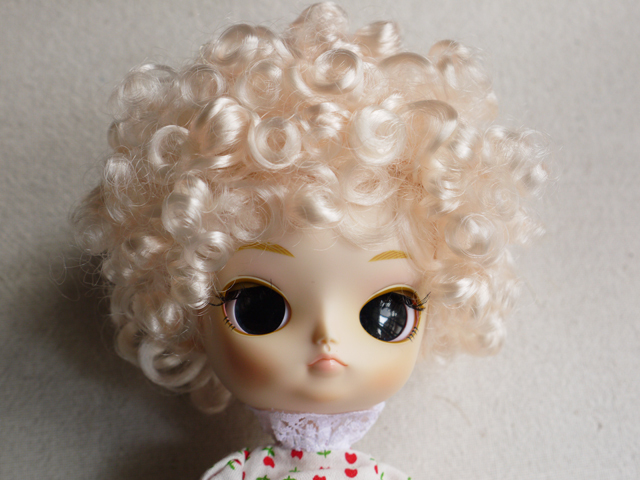 Dearest sweet MeiYing, i adore the makeover altho i was a little...just a little freak out at the part with the eye demonstration! I actually reeally adore her eye chips and goregous new hair cut! Have a lovely merry happy day and love to you!